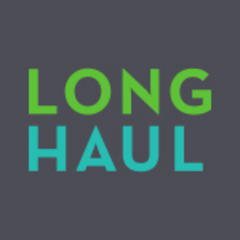 Long Haul Productions documents stories of everyday lives, stories of people and communities in transition, and stories of ordinary people accomplishing extraordinary things. When we choose a story, we're really in it for the long haul: we spend months, sometimes years, getting to know our characters. These are documentaries that mark the course of human life: they're inherently dramatic, immediate, and true. As such, they yield some of the most memorable programming in American media today. We're a not-for-profit corporation run by longtime producer Dan Collison, and his radio partner Elizabeth Meister. We've produced fifty radio documentaries for National Public Radio over the last eight years, and count the prestigious duPont-Columbia baton among our many honors. Our video documentaries have aired on HBO and the Travel Channel, and we've won attention from other journalists at the New York Times, LA Times, Atlanta Constitution, Chicago Tribune, Chicago Sun-Times, and Chicago Reader. The American Worker Series examines the meaning of work in people's lives. Two stories following a single woman in her forties as she tries to become a mother. People tell their stories as they respond to profound and fundamental change in the places they call home. A three part radio documentary profiling artist Gary Greff’s attempt to save his dying Great Plains hometown by building giant metal sculptures along a lonely strip of county road. An account of one the most bizarre plays in baseball history. Long-term profiles of Americans in transition explore how people cope with changes in their lives -- how they handle adversity, how they measure their successes and failures. A week in the life of a woman in Chicago attempting to escape a physically and emotionally abusive marriage. The story of what happened when the state of Michigan outlawed the possession of Russian Boar. The impact on the Asian Carp on people living in rural Illinois and plans to stop it.